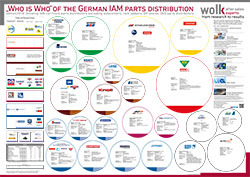 This Din A0 poster is an ideal support to get a clear overview about the largest independent car parts distributors in Europe at a glance and should not be missed in your conference room. 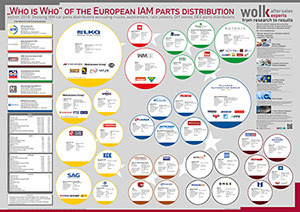 The poster shows the largest independent (IAM) car parts distributors in Europe excluding OES parts distributors, auto centers, rack jobbers, DIY stores and online shops. 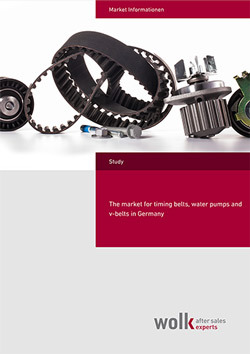 Further, it illustrates the relations between the distributors and the trade & buying groups. 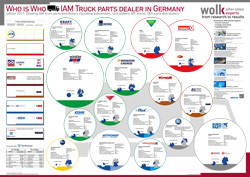 You will easily see who are the biggest players and which wholesalers belonging to a group like LKQ, Alliance Automotive Group, or Autodis. 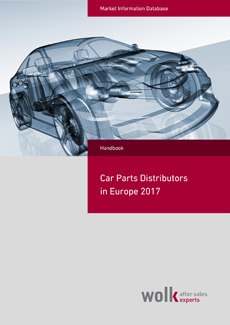 Who are the most important distributors for car parts in Europe? Which distributors are belonging to the mother company? In how many countries are they acting?